The Malawi Electoral Commission has this year again been given the Golden Key award as the Most Open and Transparent Public Institution in Malawi. The award is given by the Media Institute of Southern Africa (MISA Malawi) as part of the commemoration of the World Right to Know Day which falls on September 28 every year. MEC was identified after MISA Malawi had conducted a study to measure the most open and transparent public institution in Malawi. The research also measured the most secretive public institution based on citizen’s access to information they hold. This is the second time running the Malawi Electoral Commission (MEC) is getting this award. The Commission also won the award for the first time last year. Speaking at Malawi Sun Hotel in Blantyre during the award presentation on Wednesday, September 30, 2015, MISA Malawi Chairperson, Thom Khanje said MEC retained the Golden Key Award because it maintained high standard that enabled it to triumph in 2014. Khanje observed that MEC had been responding well to request for information and also had a functioning website and associated social media platforms which were being updated regularly to keep the public informed. He said the study showed that only 3 out of 10 public institutions sampled for the study responded to requests for information. Khanje said most public institutions also do not proactively provide information to Malawians. “Section 37 of the Malawi Constitution guarantees the right to access information held by public bodies. This right includes an obligation on the part of public bodies to proactively provide information to Malawians as well as the duty of such structures to give Malawians information if requested,” Khanje said. 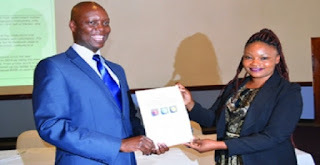 Commenting on the award, MEC Chief Elections, Willie Kalonga said the Commission was proud to be the recipient of the award and pledge his organisation’s commitment to information dissemination in line with section 37 of the Constitution. Kalonga said the Commission will continue adopting new strategies and technologies that will help bring the Commission closer to the electorate. MISA Malawi has been conducting research on level of openness in government institutions since 2009 to motivate public bodies to open. The study also aims at justifying the need for legislation on Access to Information. The study is designed to assess level of openness in public institutions by analyzing websites of sampled institutions and sending questionnaires to the said institutions. MISA also follows up with oral requests for information. This year, 10 public institutions were sampled for the research including Blantyre City Assembly, Blantyre Water Board, Central Medical Stores Trust (CMST), Department of Disaster Management Affaires (Dodma), National Aids Commission (MEC), Ministry of Local Government and Rural Development, Ministry of Industry and Trade, Ministry of Agriculture, Irrigation and Water Development. ELECTION MANAGEMENT SYSTEM is the most effective tool to gather information about election, honored to be part of it. semeli hotel nicosia can be booked prior to the visit throught roomsxpert online and the best room can be secured for a stay.